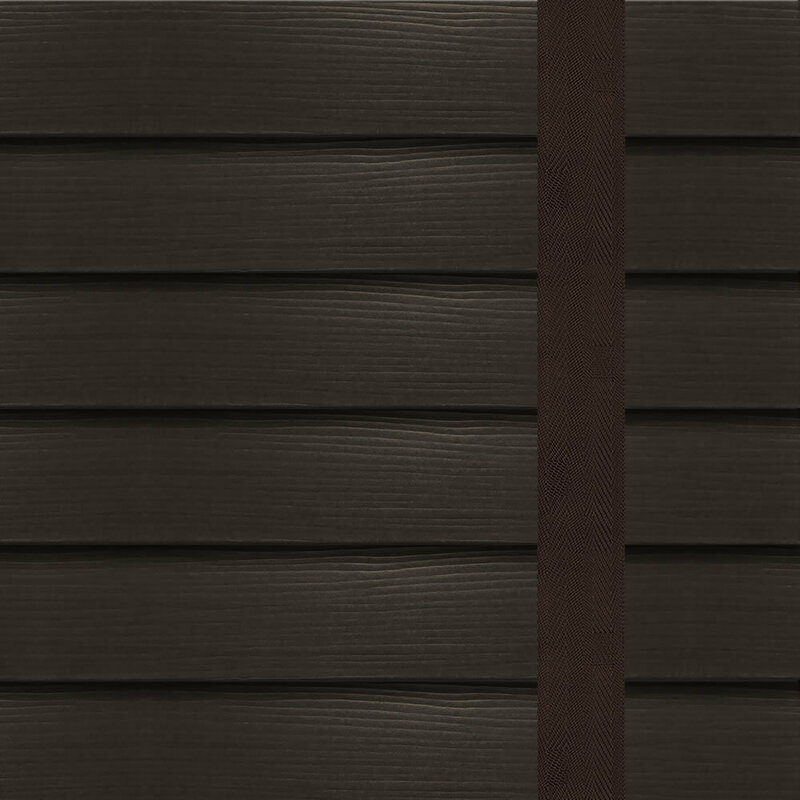 Dark, dramatic and sumptuous, these luxurious coffee faux wood blinds with tapes are guaranteed to add the wow factor to any room. They have an authentic wood grain finish and they’re extremely practical too. They can handle water and steam with ease so they won’t bend or warp and they offer excellent sunlight control. Fantastic blind, received 3 samples so I could get the perfect yellow. Ordered online nice and easy received blind a few days later. 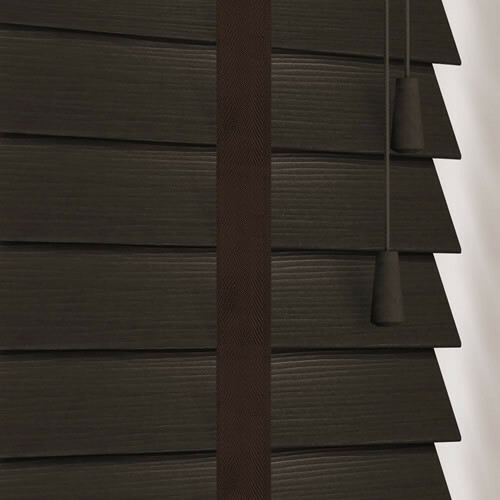 It looks fantastic, I highly recommend English blinds. English blinds sent me a sample of the fabric to test out at home and on the strength of that I ordered 3 blinds for my kitchen windows. The website blind calculator was easy to use and worked out a price immediately. 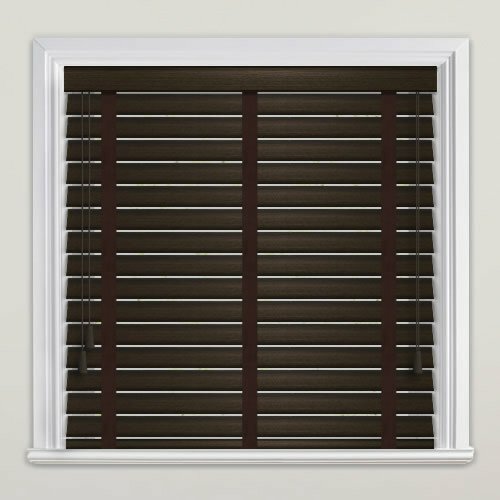 My husband hung the blinds easily and they look great. Easy to follow guide for measuring and ordering. Well laid out site for exploring all types of fabrics. 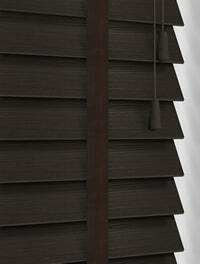 Blinds are of excellent quality and are easy to hang. Delivery was faster than stated on site. They were also packaged well. Would definitely recommend to others. Excellent quality product. 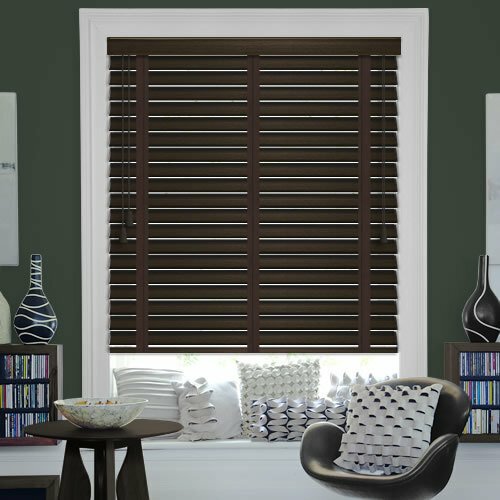 Very good service from the ordering of samples to receiving the custom made blind. Would definitely recommend.